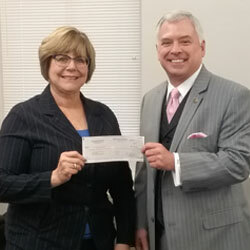 Foundation donates to post Soldier and family programs | Command and General Staff College Foundation, Inc.
Foundation President/CEO Rod Cox, right, presents the Foundation’s $5000 donation for Soldier and family support programs to Mary Manago, the Commercial Sponsorship and Marketing Director for Fort Leavenworth, on Jan. 16, 2019. 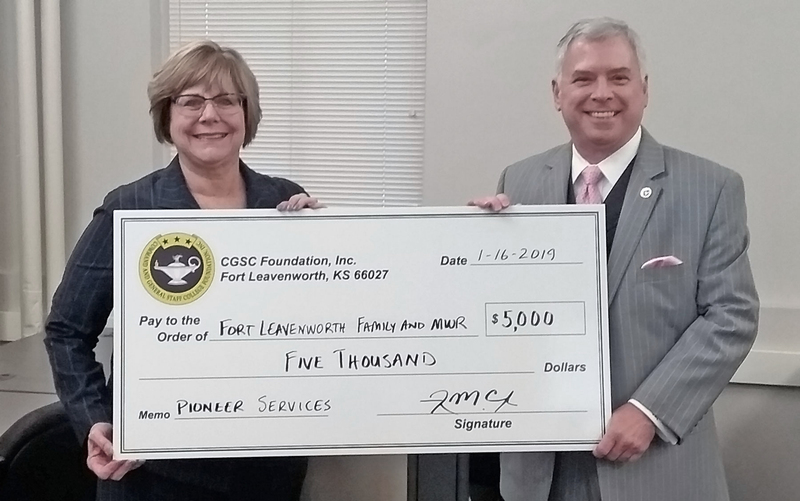 The CGSC Foundation presented a $5,000 check to Fort Leavenworth’s Family and Morale, Welfare and Recreation on Jan. 16 to support Army Community Service (ACS) Family programs to benefit Soldiers and families at Fort Leavenworth. Foundation President/CEO Rod Cox made the presentation to FMWR’s Commercial Sponsorship and Marketing Director Mary Manago. 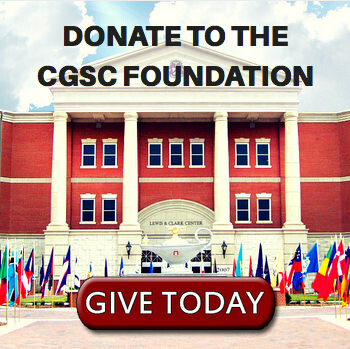 The CGSC Foundation’s support for Soldiers and families is made possible through a generous donation from Pioneer Services, a long-time supporter of the Foundation’s Soldier and Family programs. 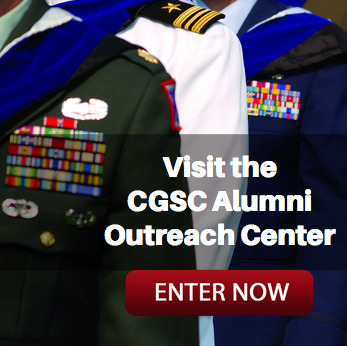 These programs are one of the Foundation’s three general mission support areas it supports every year.